I have worked in the financial services industry for over 25 years, with the vast majority of that time with a major high street Building Society. 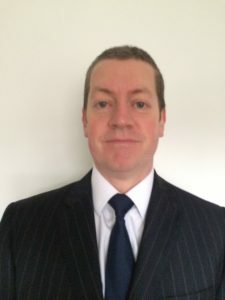 I started my career providing advice to personal clients for a major insurance company in areas of savings, investments, pension planning and mortgages, building a strong reputation through a clear and honest approach. I progressed into retail financial services and through most client facing roles until laterally spending over 10 years developing successful financial advice teams in investments, protection, inheritance tax and retirement planning. I joined Vision as I believe the company put the client at the heart of everything they do, and they do what they say they will. I also believe that independent financial advice is of paramount importance to achieving your financial goals in life, from starting your first job to preserving your wealth for your loved ones. Vision and I will help you identify and understand your goals and plan effectively to deliver them. Away from work, I am based in Cheshire, married to Sarah with 2 daughters and a big dog Barney! I enjoy playing football, golf, travel, movies and running with the dog. I also enjoy time coaching two youth football teams as a qualified coach in the evening.